Do you have fond memories of the original Lion King movie? It was amazing wasn’t it! 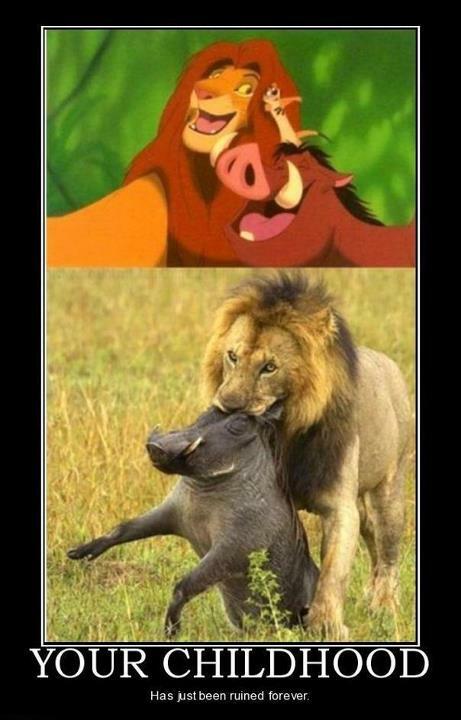 I’m sorry to do this to you because it may hurt, but here is a funny Lion King meme for you. I hope that hasn’t spoilt any of the magic for you. It was not the intention I promise. Whilst on the topic, every agrees Timon and Pumbaa were the best characters, you had to love them, if you’ve forgotten how amazing they were you need to watch this video for more funnies! I warn you though, you may want to rewatch the whole film.